We know to seek out diverse sources and opinions when writing and producing stories about food and people, but whose stories are we choosing to tell? In this speaker series webinar, we talk about the responsibility we as food writers and producers have to feature the culture and food from all communities in our work, and the importance of doing more than asking those voices to chime in on mainstream topics. Julia Turshen, the founder of Equity at the Table (EATT), Kimberly Chou Tsun An, an EATT advisory board member, and journalist Chandra Ram join together for this important conversation. Julia Turshen is the founder of Equity at the Table, a database for food industry professionals featuring only women/gender non-conforming folks and focusing primarily on POC and the LGBT community. She is the author of Feed the Resistance, Small Victories, and Now & Again: Go-To Recipes, Inspired Menus + Endless Ideas for Reinventing Leftovers. 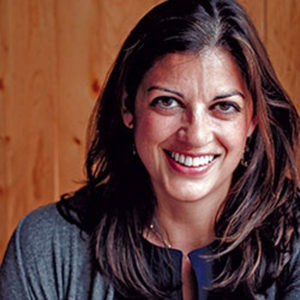 She has written for Vogue, Bon Appétit, Food & Wine, Saveur, and The Wall Street Journal. She lives in the Hudson Valley with her wife and pets. Follow her on Instagram/Twitter at @turshen. Kimberly Chou Tsun An is the co-director of Food Book Fair, a festival series that explores contemporary issues in and around food, with an emphasis on amplifying the voices of people of color and queer folks in media. She’s a proud advisory board member of Equity at the Table, and is involved in food-and-justice programming with Allied Media Conference. She’s also worn many other hats: journalist, artist’s model, prep cook, art fair ringer; and once, in a corps of civilian performers for the Whitney Biennial, volunteer dancer. She lives in New York. Follow her on Instagram at @kimberchou. Chandra Ram is the editor of Plate magazine, the author of The Complete Indian Instant Pot Cookbook, and co-author of Korean BBQ. As a third-culture kid/first generation American, she’s a member of Equity at the Table, and is especially interested in writing and learning about culinary diaspora and how communities preserve their traditions while assimilating in a new culture. She lives in Chicago with her husband and their two perfect cats. Follow her on Instagram and Twitter at@chandrasplate. Chandra Ram is a chef who trained at the Culinary Institute of America and is editor of Chicago-based Plate, a food magazine geared toward chefs. She lives in Lincoln Square with her husband of one year, Jay Wilder.